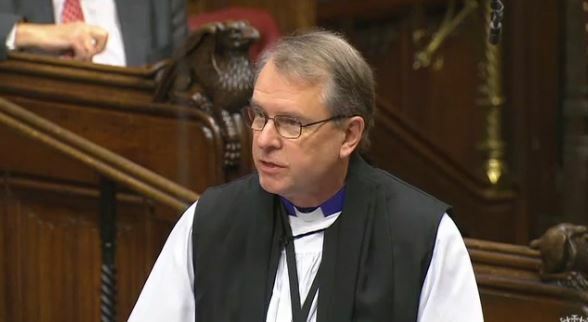 The Lord Bishop of Durham: My Lords, I thank the noble Baroness, Lady Hayter, for introducing this debate. At the outset, I will take the opportunity to thank the Minister, the noble Lord, Lord Bridges, for his participation in ongoing conversations with the Church of England around these issues and for the time he has taken in hearing our concerns. The last few weeks have brought some clarity to the process for the triggering of Article 50 and to the Government’s priorities in their negotiations. Although that clarity is to be welcomed, it stands in contrast to the continuing uncertainty hanging over families across the UK. I have received a lot of correspondence on this issue, and what many who have been in touch have sought to emphasise is that EU citizens in the UK cannot be abstracted from wider society. The people we are discussing today are mothers, fathers, partners—and, in some cases, priests. For example, I know of cases where an EU citizen is married to a British resident and yet is unable to claim permanent residence, although they are a spouse and primary carer of two young children. An unwillingness to commit to protecting EU citizens living in this country in many cases appears to be an unwillingness to protect the family life of British citizens. Imagine, as a young child, the amount of worry that the slightest possibility of your parent not being able to stay with you would cause. Similarly, imagine the strain that such a possibility is already placing on marriages. “this moment of change to build a stronger economy and a fairer society”. Let us start as we mean to go on and commit to keeping families together. Finally, we should recognise that protecting the rights of EU citizens in the UK is in our national interest. We are talking about people for whom no database exists and who contribute a great deal to our country. For example, I know that in the north-east, where I am based, many of our universities, world leading as they are, draw many of their academics from the EU. Durham University and Newcastle University, for example, have world-class faculties in many subjects. They are world class because of the expertise within them, and some of those experts are EU citizens. Already there are concerns about the loss of these experts. Failure to give them permanent residence will break up the very world-leading research teams that we as a nation need in order to stay as a world leader in academia. Quite rightly, the Prime Minister recognised the importance of research to a post-Brexit UK, including it as point 10 in her 12-point plan for Brexit. It is vital that, whatever arrangement we reach, these academics know now that they are welcome and valued. I suggest that this is a perfect opportunity to let them know. Whether they are friends, family, faith leaders or workers, the people whom we are discussing today are not bargaining chips; they are a valued part of society, and in these uncertain times they need to know that. Lord Patten (Con): …. I believe that reasonable control of our borders on a needs-first basis is a national good in the interests of balance in all parts of the country. Whether it is up in the north-east with the right reverend Prelate the Bishop of Durham or elsewhere, we want good, integrated immigration and settlement, not immigration that causes trouble. The Parliamentary Under-Secretary of State, Department for Exiting the European Union (Lord Bridges of Headley) (Con):… I will now focus on the position of EU nationals now and after Brexit, which has been raised by a large number of your Lordships. I start by thanking the right reverend Prelate the Bishop of Durham for the contribution that the Church of England has made and continues to make in hosting events with church groups across the country. I am extremely grateful for that. It has provided a welcome forum in which to have a very wide-ranging discussion. I also thank the noble Baroness, Lady Kennedy, for the contribution that her committee makes and made in its report. On this point, of course I recognise the important role that EU nationals make in a vast number of areas in our society and to our economy. Obviously it has been the Government’s approach and wish throughout to provide as much certainty for them in the days and months following Brexit as possible. That is why the Prime Minister in her speech last week made protecting the status of this group of EU citizens a top priority. It is also why we must move to trigger Article 50 as soon as possible. I will spell out why that is the case. The Prime Minister has made it clear that she stands ready to reach an agreement right now. Indeed, she has already told EU leaders that we could give people the certainty they want straightaway—a point the noble Lord, Lord Bilimoria, might like to bear in mind. However, we know that they are not open to any negotiations before Article 50 is triggered. To provide that certainty, I argue that we need to proceed, as the Government intend, to trigger Article 50 by the end of March. Then, we can proceed to seek an early agreement when we have begun formal negotiations, while being very mindful, as the noble Lord, Lord Owen, so rightly mentioned, of Article 8. Despite this strong signal from the Prime Minister, I understand and have heard today that a number of your Lordships and others wish us to make a unilateral move to grant assurances now, ahead of the negotiations. The noble Lords, Lord Teverson, Lord Greaves and Lord Oates, the noble Baroness, Lady Kennedy, my noble friend Lord Cormack and a number of other people have made these points. I sense the strong feeling there is on this issue. I am sorry to disappoint your Lordships, but I am not here to move the Government’s position. The Government disagree with this point. We need to ensure that the rights of EU nationals in this country are seen concurrently and negotiated alongside protecting the rights of UK nationals in the EU. I argue as some have done—the noble Lord, Lord Oates, mentioned this—that there are currently living in other EU member states more than 1 million UK nationals. I argue, as my noble friend Lady McIntosh of Pickering picked up on, that we as a Government have an obligation to them. They are UK citizens after all. I add that there have been no changes to the rights and status of EU nationals currently in the UK as a result of the referendum. Until exit negotiations are concluded we remain a full member of the European Union, and all the rights and obligations of EU membership remain in force. This includes the right, as transposed from the free movement directive under EU law, for any EU national who has been lawfully residing in the UK for more than five years to automatically acquire permanent residence…. Baroness Hayter of Kentish Town (Lab): … The right reverend Prelate the Bishop of Durham said that the manner of how we leave will say something about us as a country, but it will also be of wider international interest. As the noble Lord, Lord Owen, said, it is a matter of honour and of our future good relationships with our EU neighbours. Therefore, while we recognise and welcome the commitment to look after UK nationals living abroad, who are also uncertain of their future, we hope that there will be a grown-up approach to this and that we will recognise the rights of people living here without saying that as something that is a reciprocal tool to be played with.